Phantom Sales Group, are experts in processing equipment for a variety of industries. 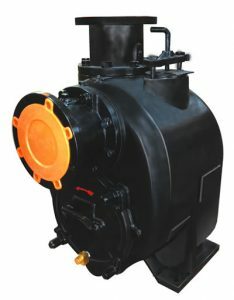 We are your source for self priming pumps, ANSI pumps and slurry pumps. Need replacement pump parts? We carry a full line of parts to fit just about every pump from every major manufacturer. We ship quickly and we stand behind our products. Our clients include small businesses, larger corporations and a variety of municipalities. These clients use a wide range of industrial equipment and Phantom Sales Group is pleased to serve their needs. Need processing equipment that includes irrigation pumps? We can help. Are you in search of chemical process pumps? Our pumps can handle solids up to 3″. If you are not quite sure of the best processing equipment for your particular application, contact our experts. If your processing equipment needs include use of portable pumps, our portable self-priming pumps come in a variety of sizes and platforms. We have industrial equipment pumps that are trailer mounted or skid mounted. Integrated tanks are 27 to 80 gallons in size, and YANMAR Diesel Engines provide reliable power that are designed and engineered to provide years of service. See why more and more organizations are turning to Phantom Sales Group, Inc. for their processing equipment. Our warehouse has inventory in-stock that helps expedite fast shipping. Contact us today to learn more about our line of processing equipment or place your order today. When you are in need of industrial pumps or parts and repair, turn to the Phantom Sales Group. We help you keep it moving!